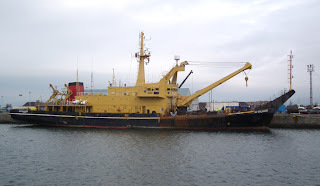 A careworn SD Salmoor lying in JWD 20 February 2011. Caledonian Macbrayne's Isle of Arran in JWD awaiting entry to the Garvel 20 February 2011. 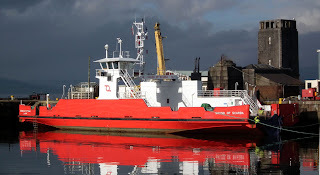 Loch Portain (with a fresh complexion) completes annual overhaul in JWD 20 February 2011. 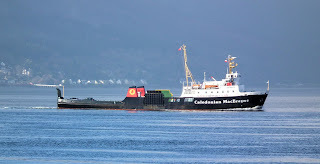 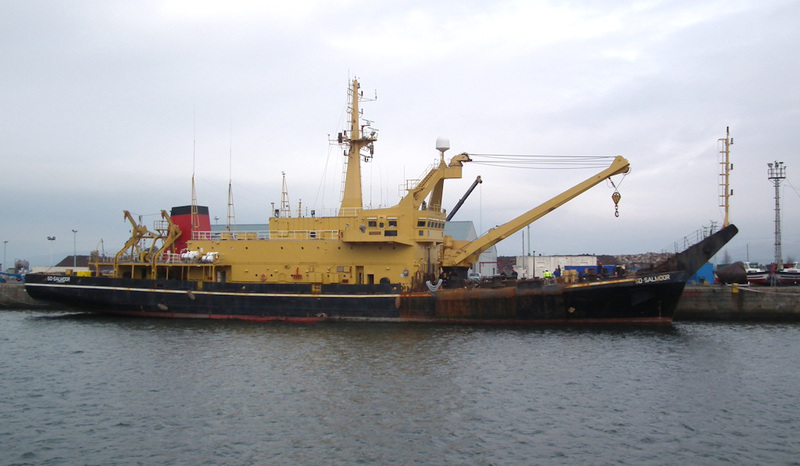 Loch Fyne departed JWD 21 February 2011, called at Gourock, then sailed to Largs to carry out ramp tests. She arrived circa 1215 hrs and having completed these, berthed on the face of the pier until about 1500hrs when she sailed back to Gourock. 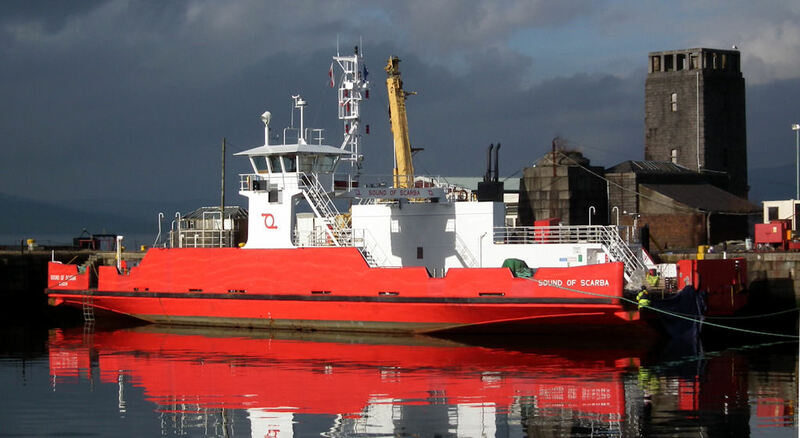 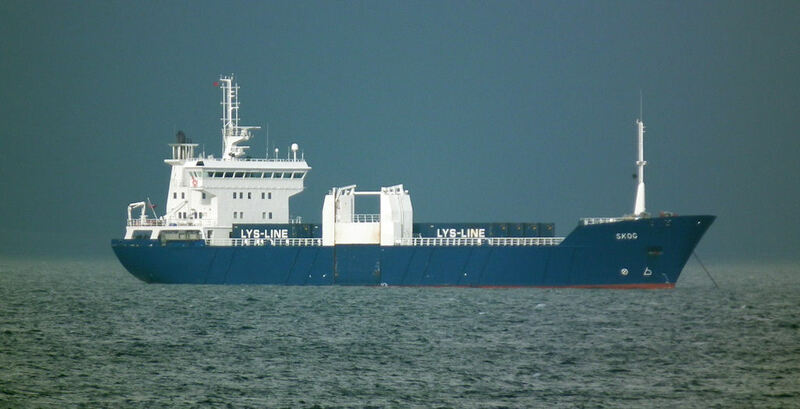 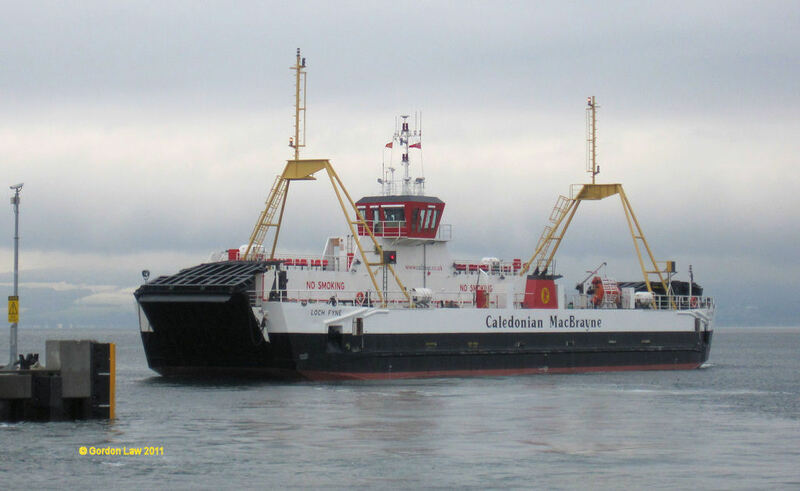 MCA sea trials due 22 February, then on Wednesday 23 February she will sail back to Lochaline via Campbeltown. 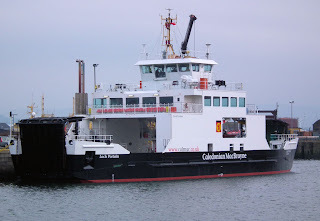 An article by ClydeNavalGazing correspondent Gordon Law. Ross Liner KS's Skog lying off Gourock 20 February 2011. 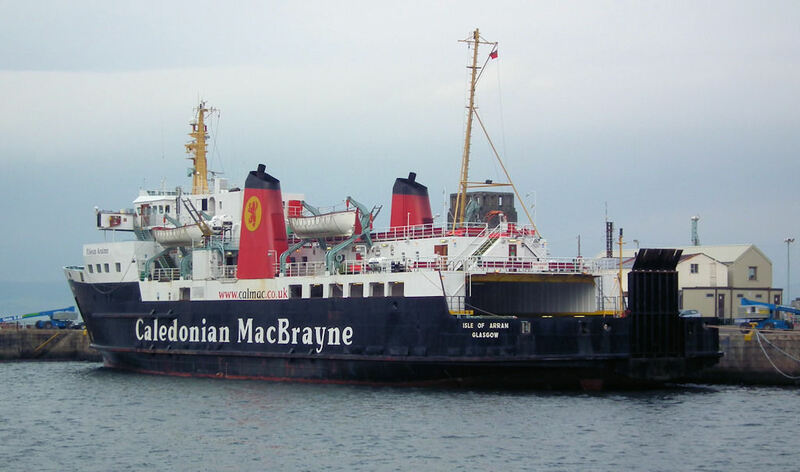 Caledonian Macbrayne's Saturn on service 12 February 2011. 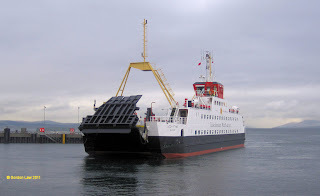 Western Ferries' Sound of Scarba undergoing repairs in JWD 12 February 2011.